The Infiniti QX80 is a full-size luxury SUV with a sturdy frame and sumptuous interior. With the QX80, Infiniti has a competitor in the high-stakes fight for full-size SUV luxury dollars. The Cadillac Escalade, Mercedes-Benz GLS Class, Land Rover Range Rover, Lincoln Navigator, and Lexus LX570 compete for high-margin money. 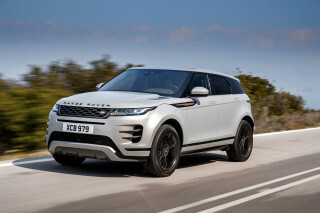 The 2018 version was revised with a new face and some interior improvements. 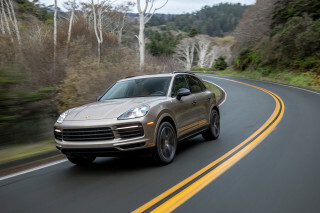 In 2019, automatic emergency braking became standard on all versions. The first major model change for the vehicle that would become the Infiniti QX80 came in 2011. As a part of a wholesale movement to give Infiniti more distance from Nissan's U.S. offerings, the big SUV changed platforms and homes. The 2011 Infiniti QX56 turned away from its past as a plusher version of the Nissan Armada SUV. Instead, the name was applied to a new version of the sixth-generation Nissan Patrol, which was not sold in the U.S. (That has changed for 2017, as the new Nissan Armada is basically a Patrol by another name.) 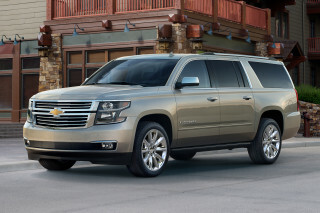 The new vehicle can still hold up to eight passengers, and it continues to offer a big 5.6-liter V-8. 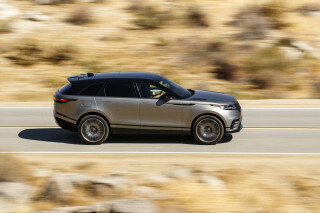 This new engine, however, makes 400 horsepower and 413 pound-feet of torque, and comes paired with a 7-speed automatic. For 2014, that QX56 became today's QX80. Infiniti announced in late 2012 that it would rename all of its offerings with numbers and letters that depicted their relative size and place within the lineup, instead of basing them on engine displacement. As the QX80 is the largest SUV, it gets the biggest number. The 2015 model year brought a new Limited model to the top of the QX80 range. The package, which continues to this day, includes a Truffle Brown cabin marked by a palette of brown, black, and silver leather appointments and wood and trim. Quilted leather seats, a suede-like headliner, silver accent piping, and leather-wrapped speaker grilles for the instrument panel are among the many dress-up items within. For 2016, Infiniti added a limited run of 1,000 Signature Edition models that featured a split bench rear seat, a Saddle Tan high-contrast interior, bodyside moldings, and chrome mirror caps, plus a rear entertainment system and the host of safety features that were otherwise available in other packages. Today's QX80 is basically the same vehicle as the QX56 that came before it. The big V-8 provides strong acceleration. With rear-wheel drive, the QX80 gets the same 14 mpg city, 20 highway ratings as its differently named predecessor. The QX80 also retains the optional linked hydraulic suspension, which helps reduce body roll on-road and also improves articulation should the luxury bus find itself off pavement, allowing the wheels to basically unlink and move more freely, much like with active anti-roll bars. 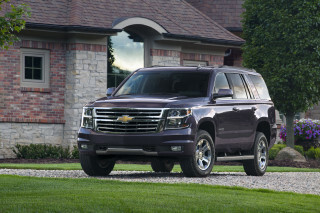 Its tow rating of 8,500 pounds also carries over. The QX80 is handsome overall, though some take issue with the very tall hood, blunt front-end styling, and bulbous, organic shapes. The cabin is extremely plush, with nicely contoured leather and wood trim that looks inviting and masculine at the same time. The first two rows of seats are very comfortable for adults of any size, while the third-row bench is sized for kids. The behemoth offers plenty of cargo space, one of its strengths. Features lag behind the Cadillac Escalade, but the QX80 has a standard surround-view camera system with rear cross traffic alerts; the SUV will apply brakes if it senses an obstacle crossing behind it when in reverse. Other standard features include navigation, DVD audio, Bluetooth audio streaming, and keyless ignition. The QX80 also comes with the Infiniti dealer experience, something that rivals like Lincoln and Cadillac still can't quite match, more than 25 years down the road. Updates for 2017 included standard trailer sway control, pedestrian detection for the forward emergency braking system, and changes to the interior and exterior color palettes. 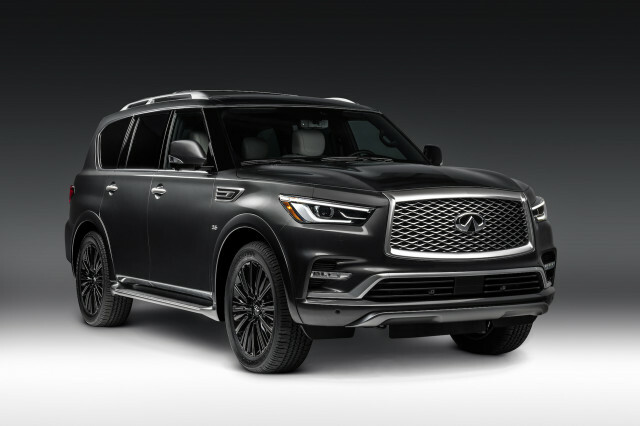 The Infiniti QX80's lineage stretches all the way back to the 2004 model year, when the then-QX56 was launched as a more luxurious spin-off of the big, bruising Nissan Armada full-size SUV. Built in Mississippi right next to the Armada, both vehicles rode on a version of the Titan pickup's body-on-frame platform. While there were almost no mechanical differences when compared to its cheaper kin, the QX56 was more plush. Both vehicles used the Titan's sole powertrain—a 5.6-liter V-8 that over time saw its output climb to 320 hp and 393 lb-ft of torque. With a choice of rear- or four-wheel drive and a standard 5-speed automatic, the QX56 was a brawny machine that could tow up to 9,000 pounds. In other ways, however, it came up short. The interior wasn't as luxurious as those of competitors like the Cadillac Escalade and Lincoln Navigator. To fix that flaw, Infiniti upgraded the cabin of the QX56 with better materials, while it also face-lifted the sport-ute and added new audio and navigation features.